Graham is an integrated communications strategist with more than 12 years experience. His work has been praised by clients and – in print – by journalists. This seasoned communicator is known for offering strategic counsel and timely advice to senior executives and management teams. Strategic communications planning and execution, expert media relations, honed writing skills, and corporate branding and messaging achieve the impactful results that clients are looking for. CLICK HERE FOR A BRIEF PORTFOLIO SLIDE SHOW. Graham co-hosts The Voice marketing/PR/advertising podcast for the International Association of Business Communicators in Ottawa, Canada. Now on iTUNES. Subscribe Here. Since launching his own consultancy in September 2008, Graham has put his skills to work for Astral's 99.7 EZ ROCK, Carbon Disclosure Project, Canadian Alliance of Film & Television Costume Arts & Design, The Comedy Network, Cycle 3 of CTV’s Canada’s Next Top Model, Discovery Channel, Descriptive Video Works, FranticFilms, GlassBOX Television’s BiteTV and AUX music channel, International Association of Business Communicators, Knock On Wood Communications + Events, Luminato Toronto Festival of Arts & Creativity, S&S Productions, Temple Street Productions, TVO, Volunteer Canada, and market research firm Youthography. A highly praised, genuine approach to audience engagement drives Graham Machacek’s success story. He has more than 10 years experience related to integrated communications. Graham is known for cultivating friendships – not just relationships – with a wide range of reporters, resulting in stories reaching hundreds of millions on a diverse set of topics – everything from Canada’s foremost science pioneers to Paris Hilton. Graham’s vertical career trajectory continues to skyrocket. And his results speak for themselves. Graham is currently leading and project managing a national social marketing campaign surrounding volunteerism with extensive digital / social media integrations. The campaign is championed by Volunteer Canada and Manulife Financial. As communications manager for CTV’s Much MTV Group he oversaw numerous communications activities for the MuchMusic Video Awards. Graham managed the international media frenzy that ensued after MuchMusic cameras caught Kevin Federline allegedly receiving a text message from Britney Spears stating that she was divorcing Federline. Graham facilitated media interviews from around the globe and coached key spokespeople for these opportunities as the incident spiraled into world news. Throughout the years, Graham has secured publicity for a multitude of c elebrity appearances including Gwen Stefani, Mary-Kate & Ashley Olsen, Lisa Marie Presley, Carmen Electra, Avril Lavigne, The Killers, and many more huge stars. In addition, he landed extensive coverage on a diverse portfolio of projects including: innovative marketing campaigns; multi-platform digital advancements; consumer products; CSR initiatives; appearances by Hollywood A-listers and world-renowned musical chart-toppers; live events attended by thousands of screaming fans; and the launch of new TV channels and a retail store. Graham is adept at quickly assessing the most impactful channels of audience engagement and leveraging them in the right way, at the right time. He has written more than 400 news releases and he is skilled at developing all kinds of effective communications products to enhance a client’s publicity toolbox (click here for free communications tools). 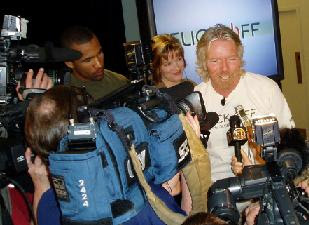 He excels at working as part of a multi-partner team involving many stakeholders as he did on the FLICK OFF campaign featuring Richard Branson. 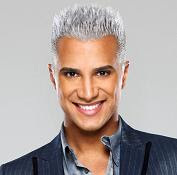 Coaching executives and celebrities for media interviews is another one of his talents. He’s accomplished at managing photo shoots: developing creative concepts and seeing them through on shoot day. Graham graduated from the University of Waterloo’s coop program with an honours bachelor degree in psychology and he completed his PR certification at Humber College in Toronto. He is the Vice President of Awards for the International Association of Business Communicators in Ottawa. He oversaw the prestigious IABC Ottawa Excel Awards, which took place June 1, 2010. Graham lectures regularly to PR students. He was a special guest panellist at the Rock N' Reel music and film festival for the seminar Do I Want My MTV? The Future of Music Television. 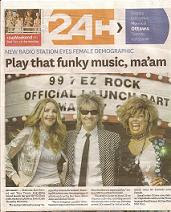 Handled media relations for the launch of Astral's new 99.7 EZ ROCK in Ottawa. A front-cover story in 24 Hours Ottawa, a front-page story in The Ottawa Citizen's Business & Technology section, priority coverage on CTV News, "A" morning, and Rogers' Daytime, and a national hit in Media in Canada are some of the publicity highlights. Close to 20 stories were secured with an estimated combined reach of approximately 750,000. 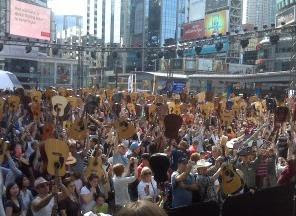 Landed millions of positive media impressions as music publicist for Luminato Toronto Festival of Arts & Creativity; coverage contributed to the largest attendance to date (more than 1.5 million); as part of the campaign, generated extensive coverage by creating and overseeing a media event where reporters learned to play guitar; publicity alone attracted 1,623 guitarists to Toronto's Yonge-Dundas Square to set a new Canadian record for largest guitar ensemble (pictured); click here to view 1,623 guitarists performing in unison at the event; successfully managed on-site media logistics for the above event and Randy Bachman's performance for thousands at Luminato First Night. 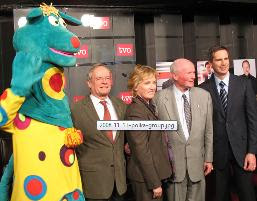 Achieved substantial positive media coverage for TVO and elevated its profile within target audiences through strategic media relations counsel; advised on and participated in the execution of a stakeholder event involving Ontario Premier Dalton McGuinty. Graham is the acting manager of communications and media relations for GlassBOX Television. He has devised and implemented a publicity strategy for GlassBOX Television’s AUX music service, securing ample coverage for its new roster of online programming. As part of the strategy he set up interviews for music guru Alan Cross, music producer Moe Berg, and Alexisonfire’s George Petitt. 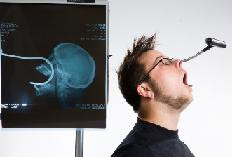 Graham also handles publicity for GlassBOX Television's award-winning BITE network. Crafted and carried out a tour phase communications plan as unit publicist for Cycle 3 of Canada's Next Top Model; developed the production and broadcast phase comm. strategies; coverage reached millions in major markets across Canada; successfully managed CTV media on set during the taping of this reality series. Photo: CTV. Made media the co-stars of a special TV segment for The Comedy Network original series Hotbox. The publicity campaign reached millions nationwide with coverage across platforms. Put the spotlight on the second season of Discovery Channel's Guinea Pig series with a new strategic communications campaign that garnered national publicity. Click Here to view a video clip from the media event. Secured millions of positive media impressions for the MuchMusic Video Awards and handled media logistics for this massive awards event. Lead-item coverage achieved in Toronto Sun for a bi-annual Movie Wardrobe Sale put on by the Canadian Alliance of Film & Television Costume Arts & Design. "(Graham is) exceptionally skilled in terms of communications, media relations, and event management with contributions that have had a significant positive impact on our company’s profile...His recommendations get results and we have found his approach to executive communications coaching to be highly effective..He is a master at building relationships and leveraging them in the right way to get traction in the media." – Raja Khanna, Co-CEO of GlassBOX Television and Co-Founder of QuickPlay Media Inc.
"Thanks for your great work in pulling together a unique promotional strategy, taking responsibility for our network deliverables, and getting great press participation." – David Smith, VP, S&S Productions Inc.
Click Here to view client case studies highlighting results obtained by Graham Machacek & Assoc. Click Here for FREE content to assist with your publicity, media relations, and communications campaigns. *Creative and strategic communications plans customized to achieve business objectives. *Big buzz campaigns at international, national, regional, and local levels that get results. *Social media planning and execution. *News conference planning and execution. *Communications coaching for executives, other staff, and celebrities. Masterful media relations for celebrities at events and junkets, and for launch campaigns. *Developing core concepts and key messages designed to cut through into print, online, and on radio and TV. *Tested and true media logistics for special events. *Coordinating media interviews and executing junkets. *High-impact news releases and advisories. *Targeted announcements crafted to reach specific audiences: customer info/marketing releases; product info releases; product/company update releases; official statement releases; and copy for social media releases. *Bios serving as the ultimate career encapsulators for executives, staff, and celebrities. *News-filled newsletters primed to pique interest. *Articles that land bold-type headlines. *Frothy marketing and ad copy. *Speeches and presentations crafted to effectively convey corporate core concepts and key messages. *Smart editorial for brochures and manuals. *Media coverage tracking and reporting. *Post-event media surveys and outreach. *Crisis communications and issues management expertise. *Photographers: top photojournalists and fashion photogs (including stylists and hair/make up artists). *B-roll production: experienced editors and producers.